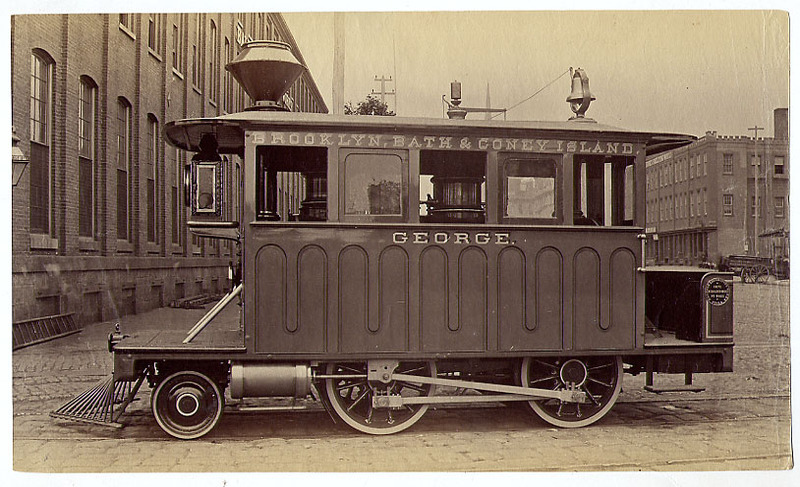 The Brooklyn, Bath and Coney Island Railroad was incorporated in 1862. It became the first steam railroad to bring Coney Island beachgoers from downtown Brooklyn. The company was reorganized three times, finally changing it's name to the Brooklyn, Bath and West End Railroad. History from Wikipedia.